Atopy translates to “out of the way, unusual.” In medical circles, this term is applied to the observation that a group of common hypersensitivity reactions occurs within the same family, or–unluckily–sometimes all in the same person. The trio is comprised of eczema (also called atopic dermatitis), hay fever (also called allergic sinusitis), and asthma. Eczema, hay fever, and asthma all involve type I hypersensitivity reactions. Type I reactions entail a nonthreatening trigger (usually an allergen like cat dander or oak pollen) that leads to the production of a class of antibodies called IgE. These molecules then cause mast cells and eosinophils (a type of white blood cell associated with allergic reactions) to secrete inflammatory chemicals, leading to swelling, capillary dilation, excess mucus production, itching, and other symptoms. Type I reactions typically occur within a few minutes of exposure to a trigger, but can be delayed for up to 12 hours. Recent research has uncovered an explanation for why these three conditions often appear together or in family groups: all of them involve a specific genetic pattern that creates a strong predisposition toward inflammatory type I hypersensitivity reactions. While genetics are only part of these multifactorial conditions, this understanding may open the door to new treatment options to help reduce the incidence and severity of atopic symptoms. Eczema is the result of systemic allergies that are manifested through inflammation, itching, and pathologic changes to the skin. Babies and toddlers experience eczema more than adolescents and adults, but for some people, it is a lifelong condition. Eczema has several subtypes, but the most common form is called atopic dermatitis. In addition to a genetic predisposition, contributing factors to eczema include two main issues: a deficiency in certain fatty acids that compromises the lipid layer of the stratum corneum, leading to a high risk of damaged skin, and immune dysregulation that promotes inflammation with capillary dilation, redness, and itching. Although it seems clear that eczema is connected to allergic triggers, flares can also be caused by local irritations, such as rough textures, detergents, harsh chemicals, extreme temperatures, and excessive sweating. Skin affected by eczema is typically red, flaky, and dry. These changes appear mostly in skin creases, such as knees, elbows, ankles, and hands. The skin may eventually thicken and feel rough: this is called lichenification. The itching associated with eczema can become a self-fulfilling prophecy: in a phenomenon called the itch-scratch cycle, constant irritation can lead to significant skin damage. Because of this, people with eczema are susceptible to secondary skin infections with viruses or bacteria. Sinuses are hollow areas located lateral to, above, and behind the nose. They provide resonance for the voice, and they lighten the weight of the head considerably. 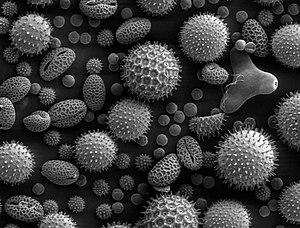 When mast cells in the mucous membranes respond to allergens as if they were life-threatening organisms, inflammation then causes itchiness, production of huge amounts of thin, runny mucus, and puffy, itchy eyes, all classic signs of hay fever. It is important to point out that hay fever is an allergic reaction, not an infectious one, but similar symptoms can occur with a sinus infection. The main differences include the presence of fever and the mucus with infection tends to be thick, sticky, and opaque rather than clear and runny. These two conditions are not mutually exclusive, however. Chronic hay fever can create an environment conducive to pathogenic growth, so the risk of sinus infection can be higher when a person has chronic nasal congestion due to allergies. Hay fever may involve severe headache, which is made worse by bending over, as more pressure on the irritated sinuses can make the head throb. Sore throat, coughing (caused by postnasal drip), and congestion, along with an itchy, runny nose are common. People with hay fever are likely to experience fatigue and general malaise, because the body is fighting hard to cast off an invader–even though that invader is not inherently threatening. Asthma is a condition in which the bronchioles (tiny airways leading to alveoli in the lungs) are extremely irritable and hyperreactive. When a stimulus triggers an attack, a sympathetic reaction (causing dilation) is quickly followed by a parasympathetic overreaction (causing constriction). This seesaw in airway diameter is further complicated by swelling of mucous membranes and massive production of thick, sticky goo. Symptoms of asthma include dyspnea (shortness of breath), wheezing (the sound of air moving through tightened and clogged up bronchioles), and coughing, which may or may not be productive. Many people with asthma report that it feels especially difficult to expel air, the bronchioles are constricted, so the alveoli don’t empty easily. Others find that the opposite is true. The unifying feature is that respiratory turnover is impaired, and the oxygen content of the blood may become dangerously low. Rising asthma statistics have drawn a lot of attention to the quality of indoor air. As buildings become tighter to conserve energy, the airborne irritants inside can accumulate to levels that are dangerous to some people. Specific substances like pet-related allergens, cockroach waste, cigarette smoke, and dust mites are especially strong asthma triggers. Asthma occurs on a continuum of severity, from mildly irritating to potentially debilitating. Sudden and severe attacks can cause respiratory failure and death. Self-help measures for people with atopic conditions begin with working to identify their triggers, and then avoiding them carefully. Other interventions target more specific aspects of allergic reactions. In addition to avoiding irritating triggers, people with eczema must also try to maintain adequate hydration of the skin. This means finding a moisturizer or emollient that doesn’t contain any irritating substances, and applying it while the skin is still wet from bathing. Essential fatty acid supplements that help to strengthen the lipid layer in the skin may also be effective. Acupuncture appears to decrease the symptoms of acute eczema, as well as decreasing the severity of subsequent flares. Medications for eczema focus on altering immune system activity, either by suppressing inflammation on the skin or interfering with chemical messages between immune system cells. This field is expanding quickly and new treatment options are more effective than ever. People with hay fever are counseled to stay away from their triggers and to stay in humid air or breathe steam to help moisturize and liquefy the clogged mucus. Increasing daily water intake and reducing the use of alcohol, caffeine, and other diuretics may also help to soften and loosen mucus. Many experts recommend using a saline wash to rinse the sinuses regularly. Using air filters to remove irritating particles from the air can also help. Decongestants are sometimes recommended to minimize symptoms of hay fever, but these are only appropriate for short-term use because they can create an extreme rebound effect when usage is stopped. Corticosteroids in nasal spray form can reduce swelling, but they can take several weeks to become effective. A sudden onset of an extreme asthma episode can be life-threatening, so asthma patients are taught to recognize the warning sign of an attack in order to treat it as quickly as possible. Medical intervention for asthma has two basic goals: immediate relief and long-term control. Short-term interventions involve beta agonist inhalers that act as bronchodilators. Inhaled or orally taken steroids can be used for long-term control. Patients are often advised to use allergy medication and to consider immunotherapy: allergy shots to help desensitize the system to a particular allergen. For people who are prone to allergies, the experience of stress creates some special problems. Cortisol is the hormone specifically related to long-term stress, and it is a powerful anti-inflammatory. When people undergo long-term stress, their cortisol supplies can be depleted, limiting our ability to quell an inflammatory reaction. This is not to say that stress is the only cause of allergies or even the most important one, it’s just to point out that long-term stress and cortisol depletion can often make atopy and other allergies worse. It is not a stretch, then, to suggest that the stress-management aspects of bodywork could be part of a larger strategy to reduce the severity of allergic reactions. Atopy and its subparts are common conditions that test many of our clients. Fortunately, they are not in any way contagious, so practitioner safety is not an important issue in making decisions about bodywork. However, various aspects of massage can make an uncomfortable experience for clients who live with these hypersensitivities, so it is our job to create an environment that is as welcoming and challenge-free as possible. Following are some strategies. Your client with asthma will probably not appreciate a room that is heavily infused with incense, candle odor, or perfume. Some aromatherapy interventions apply to asthma symptoms, but this is something that should be explored by an educated practitioner who elicits appropriate input from the client. Many people with aspects of atopy, especially eczema and asthma, report some sensitivity to standard massage lotions and creams. This is probably related to allergy-promoting chemicals found in some oils. It is a good idea to keep some hypoallergenic lubricant available for these clients. Sometimes symptoms like respiratory distress or itchiness don’t emerge until several hours after exposure to a trigger. This is a good reason to make a follow-up call the next day to see how the client responds to your work and professional products. Clients with hay fever may experience congestion or excessive runny nose (or both) when lying prone. Clients whose symptoms are extreme on the day of their appointment may welcome alternatives to being face-down with pressure on their sinuses for prolonged periods. This may require some imaginative positioning, but it is a good investment of time and energy, since it is difficult to relax when your nose never stops dripping. The typical presentation of eczema involves rough, dry, flaky, itchy skin. This situation doesn’t preclude massage, indeed, the application of a hypoallergenic lotion may be extremely soothing and supportive, as long as itching isn’t exacerbated. But if the skin is compromised and shows any signs of bleeding, scabbing, or oozing, this is a potential portal of entry for pathogens and is a local contraindication. Clients who struggle with airflow often develop hypertonicity in their breathing muscles. Bodywork that focuses on reducing tension in the intercostals, scalenes, and diaphragm can make an enormous difference in the amount of effort it takes to breathe. Massage that affects tension and fluid flow over the facial bones can make a wonderful difference for a person who lives with congestion and sinus inflammation. That magical moment when the sinuses clear is reason enough to book another session. Clients with eczema, hay fever, and asthma can have a tough time. They live in a world full of triggers that may exacerbate their symptoms. Massage provides a chance to experience quiet appreciation of our physical being. And for people who spend so much effort just to get through the day, what a valuable gift this can be. By Ruth Werner is president of the Massage Therapy Foundation. 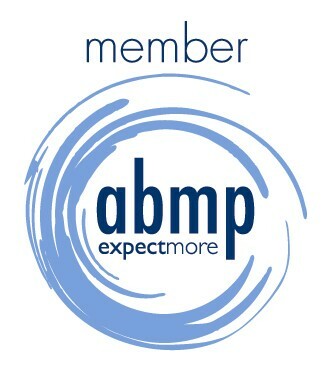 She is a writer and NCBTMB-approved provider of continuing education. She wrote A Massage Therapist’s Guide to Pathology (Lippincott Williams & Wilkins, 2009), now in its fourth edition, which is used in massage schools worldwide. Her new book, Disease Handbook for Massage Therapists, is now available. Werner can be reached at www.ruthwerner.com or wernerworkshops@ruthwerner.com. Originally published in Massage & Bodywork magazine, May/June 2010. Associated Bodywork and Massage Professionals. All rights reserved. Gallery | This entry was posted in Acupressure, Aromatherapy, Bach Flower Practitioner, Bellanina, Energy Healing, Energy Healing, Energy Medicine, Holistic, Holistic, Holistic Healing, Hypnotherapy, Integrative Shiatsu, Massage, Massage Facelift, Massage Therapist, Massage Therapy, Our Center, Reiki, Reiki, Shiatsu, Skin Care, Swedish Massage, Therapeutic Massage and tagged Allergy, Asthma, Atopy, Eczema, Immunoglobulin E, Itch, Rhinitis, Sinusitis. Bookmark the permalink. Thank you So much for your comments. Namaste!